The Counter-Act Toolkit is a no-cost anti-vandalism program offered to elementary school teachers (Grades 1-5). The Toolkit includes six lesson plans designed to supplement the current Elementary curriculum. With a focus on vandalism prevention and good citizenship, the toolkit provides teachers with the tools to deliver 50-minute lessons to their class. promotes the importance of making positive choices and respect for the environment. 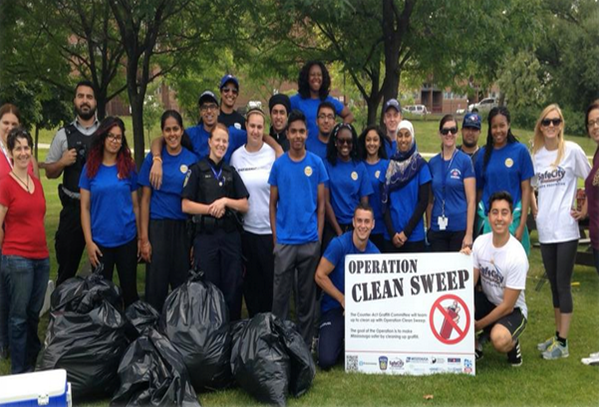 Though Mississauga remains amongst the safest cities in Canada, property offences which include theft, mischief and vandalism make up for the highest incidents of misconduct in the city. Based on police-reported data, Canada consistently shows crime rates peaking during late adolescence and early adulthood. Recognizing the important role educators play in developing qualities of respect, responsibility, and ownership, Counter-Act takes a developmental approach to addressing the issue at its root. By educating youth on positive choices, and showing them how their actions affect others within the community, we strive to teach youth compassion for others, whilst promoting smart decision making. Bring Counter-Act Lessons to Your Class! Sign up below to download the Counter-Act Toolkit, complete with lesson plans, activities, and study worksheets! Don’t forget: we want to hear from you, too!